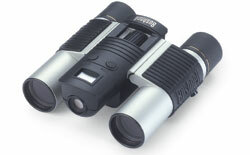 Binoculars Bushnell IMAGE VIEW 11-1025 binoculars with powerful optical zoom and built-10h25 digital camera with 0.3 MP resolution. Internal memory for 240 pictures. Possible shooting a 30 sec clip. Оръжеен магазин Arms.bg Powered by shopping cart software за оръжие.